In a technologically advancing world customers want to be able to purchase anything anywhere. Yorcard’s philosophy is to use “off the shelf” products where they are available at reasonable cost, and to develop its own software where necessary. This philosophy has had significant success with interest shown from the Department for Transport and other PTEs in Yorcard’s Nero software. SYPTE and WYPTE needed a POST solution which integrated with their EPOS solutions for use in travel shops. 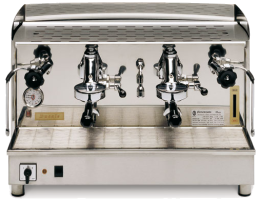 After researching the market, Yorcard decided that there was no “off the shelf” products which delivered all of Yorcard’s customers’ requirements and Espresso was born. Espresso is driven by Yorcard's Kafeneon service which handles the messaging and security requirements of ITSO. Espresso provides basic retailing services for ITSO products through either your desktop PC or NFC enabled smartphone. Espresso can provide your ITSO retailing solution in travel shops, schools, leisure centres, libraries, businesses or any other travel ticket agent. Espresso provides low-cost ITSO retail functionality requiring only a PC/SC USB Contactless Smartcard Reader costing less than £50. Payment and recording of sales is handled through your current EPOS system. Sales data will also be reported to Nero, to provide you with a full activity trail for all passengers and apportionment and reimbursement capability for operators. As your customers demand more products to be available at their fingertips Espresso will be available as an app for NFC enabled Android phones. Espresso the app will turn your customer's Android smartphone into a mobile ticket office allowing your customers to load products to their smartcard anywhere with a mobile network connection.